Community hygiene education helps people understand and develop hygiene practices to prevent disease and death in their community. Many people take for granted training they have received in healthy, hygienic practices, often during childhood, but information and knowledge about bacteria, hygiene, and disease is not widely available in many areas of the world. Community hygiene education and good hygiene are important tools in preventing infectious diseases from spreading throughout a community. Successful hygiene education will inspire real and lasting improvements to current hygiene practices and promote good attitudes towards community hygiene. Practicing good hygiene is also a behavioral change – one that everyone can make whether they are rich or poor, young or old, educated or not. When it comes to hygiene, community members must depend on the knowledge and concern for each other to stop disease transmission. Unsafe practices at the water source, like a well, hand pump, or spring, can contaminate the drinking water for the whole community. In places where people walk and do business, pathogens causing diarrhea and other illnesses pass along feet and hands, and eventually to food and mouths, quickly. In homes or gathering places, contaminated food, water, and other surfaces can put entire communities at risk of serious, even fatal, outbreaks and illnesses. Water-borne diseases like diarrhea spread easily when community members do not practice good hygiene. Individuals within a community have a crucial role in hygiene practices and hold a responsibility to their fellow community members to promote good health and a clean environment. Everyone in the community must wash their hands, safely dispose of feces, and safely handle food and water. If they do not, members of their household and the community at large suffer through the spread of disease. Nearly one billion people practice open defecation, which spreads harmful bacteria both on surfaces and in the ground. [i] Unhygienic handling of water during transport or within the home can contaminate previously safe water. Hands are vehicles for transmitting harmful pathogens to food, water and mouths. Good community hygiene can also be a cheap way to make a big impact on the health of a village. Hygiene is one of the least expensive, most cost-effective changes that can be made with immediate rewards in quality of life. Studies show that the simple act of washing hands with soap can decrease the risk of diarrheal disease in a community by 47 percent. [ii] This helps community members feel much better, return to work or school, and spend less money on medical care for sick family members. 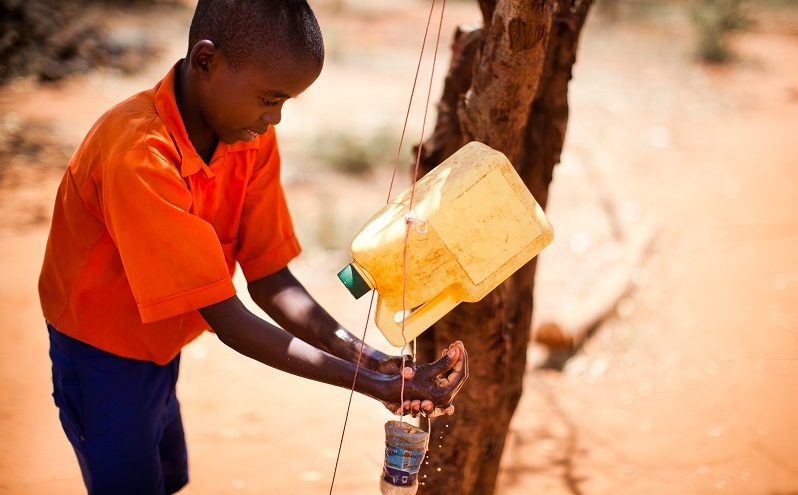 Hygiene is a vital link between water, sanitation, and health. Lifewater’s mWASH program ensures lasting health benefits from safe, clean water and adequate sanitation facilities by educating communities in the importance of good hygiene and equipping them with the knowledge and desire to achieve sustainable solutions. 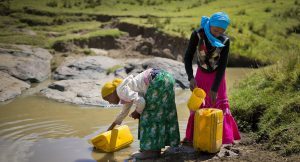 [i] WHO and UNICEF Joint Monitoring Programme for Water Supply and Sanitation, Progress on Drinking Water and Sanitation: 2014 Update (Geneva: WHO Press, 2014), 8. [ii] Curtis, Val and Sandy Carincross. “Effect of Washing hands with soap on diarrhoea risk in the community: a systematic review”. THE LANCET Infectious Diseases, Volume 3 Issue 5, May 2003.